Imagine you receive two immediately useable implants for a fixed prosthesis within 15 minutes. You probably need more time than that for a regular checkup at the dentist. Thanks to our patented SOS system and the know-how of our implantologists the fitting is already concluded within this short amount of time. Utilizing the previously produced template and under local anesthesia, we place the implants exactly at the planned position within the jaw. Immediately afterwards we also place the bar construction onto the implants. Later, the prosthesis is adapted at our laboratory. Now you can relax, read a magazine, listen to music, or head back home for a short time. After about three hours, the laboratory finalizes the prosthesis and it can be connected to the bar inside your mouth. You visited our clinic with an ill-fitting prosthesis. Now you can leave with securely and firmly fitted teeth, after only a few hours. Without pain or swellings you can immediately start chewing again. Single implants can not be put under loading immediately. They require several months of time to heal within the bone. 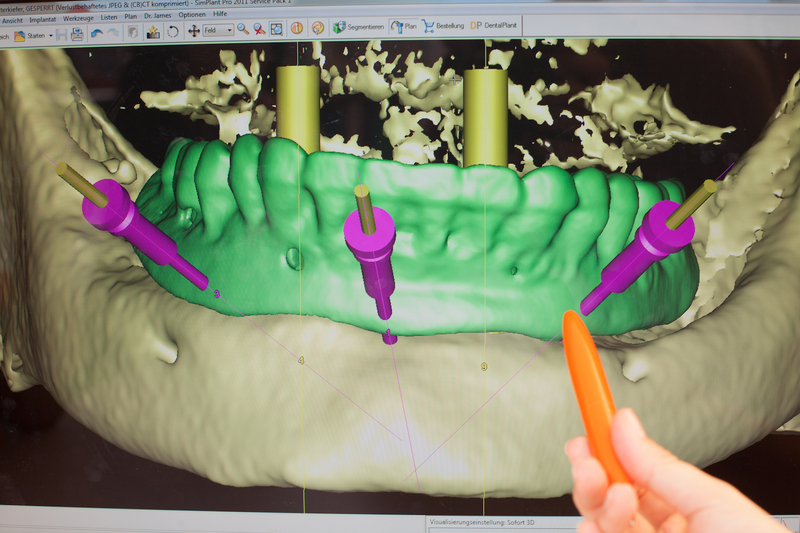 However, in our case two implants are interlocked immediately with a bar. This way, the implants can not move within the jaw and can take their time to heal while still being able to be put under loading again immediately. 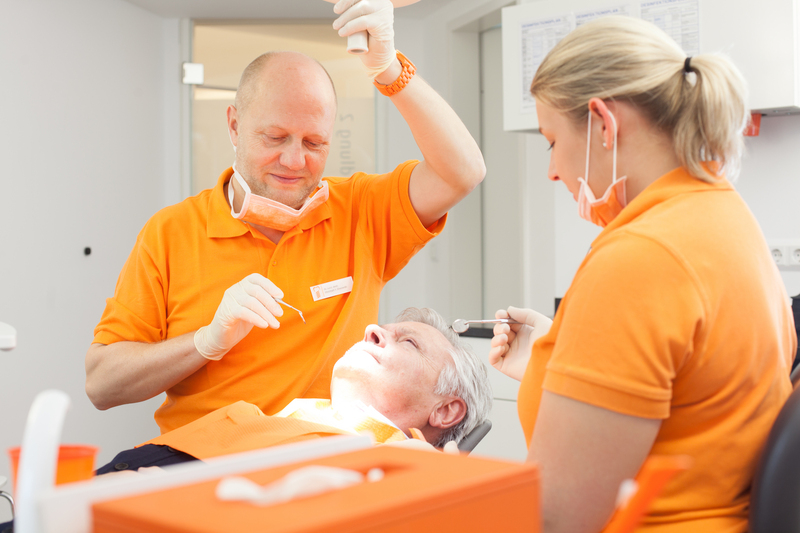 We are looking forward to discuss with you during a first consultation, how you can have a relaxed smile again soon.